Folding smartphones featuring flexible displays are getting a lot of attention at the moment. 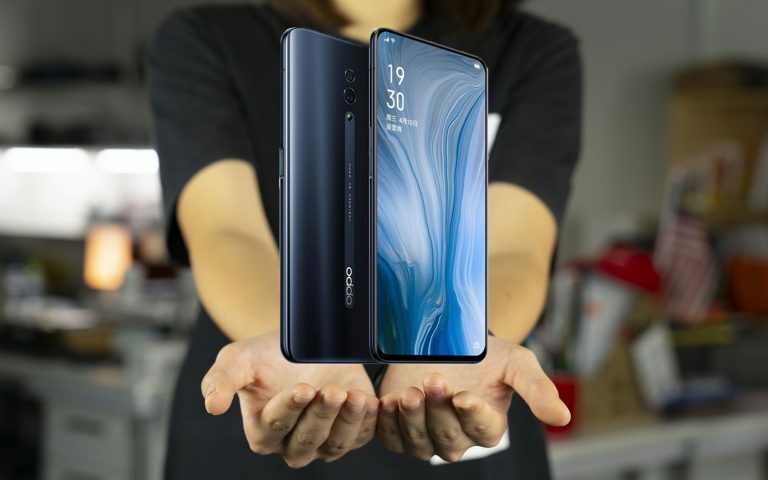 While the technology to produce foldable smartphones exists today will we see this type of device come to the mainstream in 2019? We’ve seen a number of working examples. In November last year, Samsung showcased a prototype device at its developer conference in San Francisco featuring the company’s Infinity Flex folding display. The device is more like a proof-of-concept to show that a folding smartphone with a flexible display is doable. In China, a company called Royole has a folding phone it calls the Flexpai. Unlike Samsung, the Flexpai is a folding smartphone that you can actually buy. When unfolded, the device features a 7.8-inch flexible display with 4:3 aspect ratio and 1920 x 1440 resolution. However, as we’ve seen, the Flexpai is bulky and the OS is still rough around the edges. While the Flexpai may be the first folding smartphone you can buy, it is still a long, long way away from what I would consider a final product. 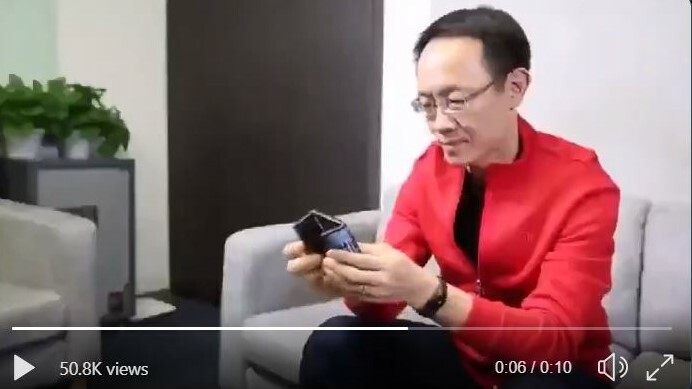 Now, we have a video from Xiaomi, it shows Xiaomi’s president and co-founder Bin Lin using what looks like the world’s first dual-folding smartphone. Where the other examples of folding phones I’ve seen look agricultural, the Xiaomi folding phone in the video look polished – one of the best examples of a folding phone I’ve seen so far. It’s slim, the folding mechanism looks smooth compared to the Flexpai and the OS looks much better. I’m excited but I’m not convinced that this is actually a working device. 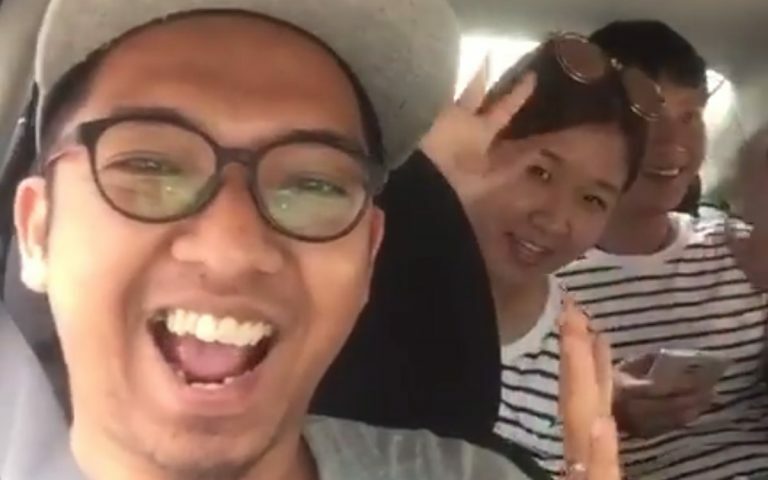 At first glance, the video may look convincing but I’m not sure. 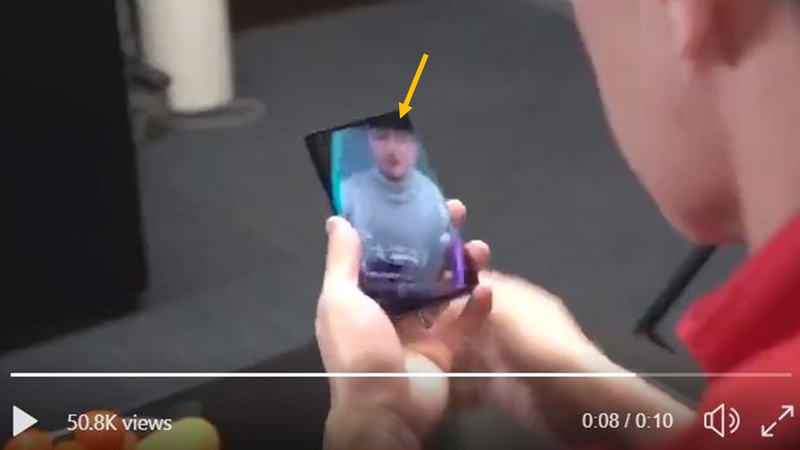 If you watch the video at the 4-second mark where Bin Lin starts to rotate the phone, there’s something not quite right with how the display looks. 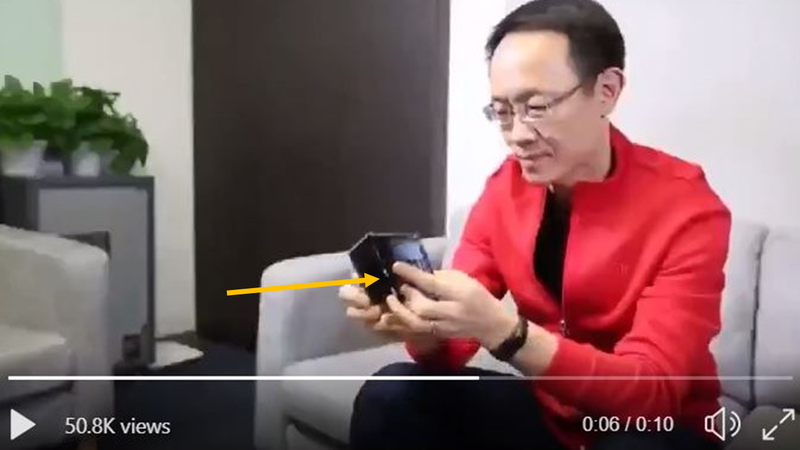 And then as you move along to the 5-second mark where he starts to fold the device, the video immediately cuts to a different angle as if to hide what could be tell-tale signs that the device is not the real deal. At the same point, you can also see a seam line where the device folds and light from the background appears to cut through it. Move to the 8-second mark in the video and something even more weird happens, the screen looks like it is rotating twice. It’s hard to describe, you have to watch the video to get what I’m saying. 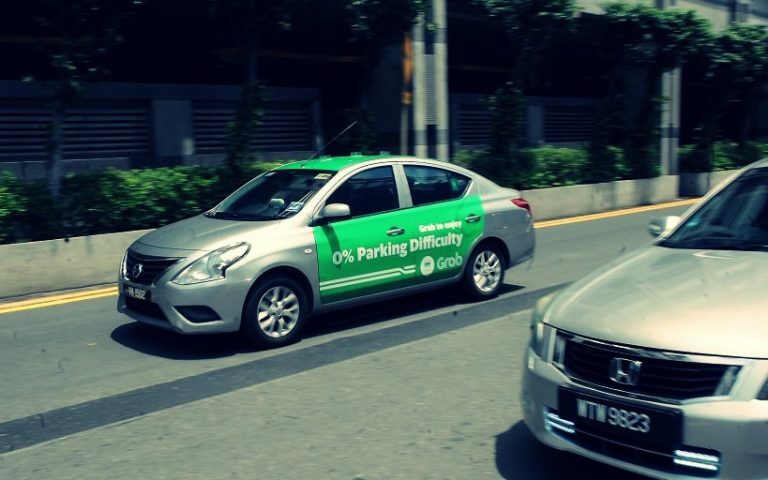 To me, it looks like bad CG but others at the office say that it could be a buggy OS. Take a look and let me know what you think. Beyond that, I have a few other questions: What OS is the phone running? How does Xiaomi solve the battery problem? Where are the cameras? Even if this is a real working device, would users be ok to not have cameras at all? Beyond the video, no other information was shared. I think the video is part practical effect (the physical phone) and part CG (the on-screen part) but who knows, I could be wrong. What do you think?